A sound and cost-efficient way to become acquainted with your new instrument is rental with the option of purchase. Upon purchase, we subtract up to twelve months rent, delivery costs and the first tuning from the purchase price. And of course it is possible to buy an equal or more valuable instrument at the same conditions. The exchange of instruments and first tuning are free of cost. New pianos can be rent from olny € 49,- monthly, with “Silent” muting system are available under purchase option from only € 69,- rent per month from YAMAHA or from € 99,- per month from Schimmel. 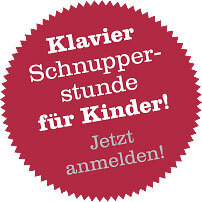 A new Schimmel piano without “Silent” muting system can be rented from only € 69,- monthly. In each case, the rental period is unlimited.